ReverseEngineering.com recently rejoined the ranks of NCMS members. Their booth at the DoD Maintenance Symposium and participation in several NCMS Technology Showcases has seen a constant flow of interested maintenance decision-makers. NCMS wanted to find out why the technology of reverse engineering is so popular and how ReverseEngineeing.com has helped the DoD save costs and improve warfighter readiness. Why is reverse engineering so important these days? Companies look to reverse engineering as an important tool to recreate manufacturable models from obsolete molds, models or parts, and use it as a tool to re-engineer broken or damaged parts that have no engineering computer-aided design (CAD) models or drawings. Reverse engineering is allowing companies to create the most forward-looking designs by invoking design principles from the past. Reverse engineering allows Maintenance Repair Overhaul (MRO) to repair and improve parts in real time and is critical for returning anything that flies, floats, or drives requiring repair back to the field. One important method of reverse engineering is the use of a portable coordinate measuring machine linked directly to the 3D CAD software used by the shipyard or other maintenance facility to capture physical geometry from a part in need of repair. Points, lines, spline, planes, and datums are 3D digitized directly to the software feature tree used by the repair facility. Imagine as a child using the original ETCH-A-SKETCH but now having a very expensive 3D etch-a-sketch/3D pencil that traces the object in real time to the CAD system as drawings or a 3D printable model. ReverseEngineering.com software add-in integrates the portable measuring arms directly to the 3D CAD software and eliminates the learning of expensive third-party software to collect the data and then use a file translator to get the data back to their CAD software from portable measuring arms and scanners. By-passing data translators, the data collection process becomes more efficient by creating native geometry (points, lines, splines circles, planes, arc’s) using less man-hours looking for workarounds and the cumbersome and highly inaccurate physical measuring from IGES translators. 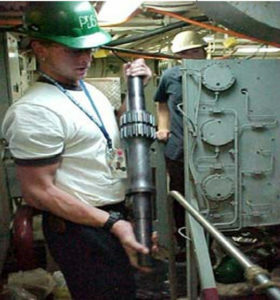 Naval Shipyards (Portsmouth, Pearl Harbor, Norfolk, Puget Sound, and Kings Bay) have found portability and flexibility of these systems allowing the operators to use laptop computers for quick analysis of measured data and MRO/re-engineering of broken parts. Provide some examples where ReverseEngineering.com was able to solve a critical challenge. 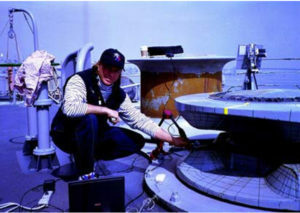 ReverseEngineering.com software was used on the NCMS project to improve the repair and replacement of polycans (Nuclear Reactor Shielding) for submarines. During the overhaul of the SSN 688 Class submarines, numerous concentric ring parts called polycans were manufactured. The polycans are welded-together steel and/or aluminum plate material filled with a poly sheet stock. This project improved the repair and replacement of polycans for submarines. 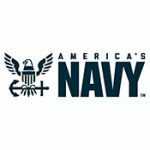 A new approach, implemented at Portsmouth and Pearl Harbor Naval Shipyards was established utilizing a portable coordinate measuring machine (CMM), CAD application software called the “Polycan Toolkit”, a CNC router, and a commercially-available nesting software tool. These linkages captured physical geometry to measure pre-existing polycan parts in need of repair and manufacturing directly to the CAD software. 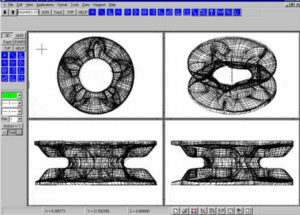 The reverse-engineered physical geometry was captured as SPLINES directly to the CAD software. 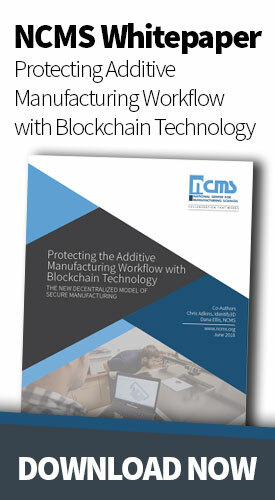 The new process was validated to show several advantages when compared to the previous manual process. Process time and cost for cutting and fitting the polycan material was reduced by 50%, a 25% material savings due to the nesting achieved, and safety and quality were improved. LSD-52 CLASS Main Propulsion Diesel Engine (MPDE) attached salt water pumps have been failing for 12 years and they represent the number one propulsion problem without any solutions from the pump and engine original equipment manufacturers (OEMs). OEMs require expensive match sets to accomplish repair when only one part fails in the assembly. Shaft corrosion, seal failures, gear fit, bearing failures, and undocumented assembly procedures can all contribute to such failures. Port engineers are expending millions of dollars every year on these problems, depleting budgets and compromising readiness. Reverse engineering of the main propulsion water pump drive assembly addressed this problem in the following capacities. Wildcats are not manufactured with tolerances that allow them to be used with any nominal 3-inch chain. The manufacturer grooms each wildcat to fit a specific chain sample at the factory by chipping, grinding, air-arc cutting, and/or building up weld clad. With a 5-axis CMM and proprietary ReverseEngineering.com software, a geometric 3D CAD surface data model was created. 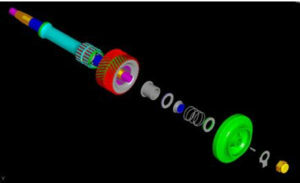 It was the unique ability of ReverseEngineering.com integrated into CAD software to move around large free-forms objects and gather data on three axes that enabled the creation of this digital model. The 3D digitizing of the wildcats allowed for failure prediction models to be verified before manufacturing. On-site reverse engineering in the field allows for much shorter “turnaround” times and saves money and has had a huge impact on maintenance. What DoD impacts have been realized? The DoD has benefited as a result of the reverse engineering with spare parts at lower prices, product improvements and value engineering changes implemented. DoD is controlling the high costs of replenishing spare parts by reverse engineering parts that are obsolete or hard-to-find. It allows the DoD a real-time manufacturing process of duplicating an item, functionally and dimensionally. Reverse engineering existing parts allows the DoD to develop the technical data (physical and material characteristics) required for competitive procurement for very expensive “Sole-Source” parts. What’s the future for reverse engineering? Reverse engineering is leading the charge to meet the demand for faster better, cheaper, and hard to locate parts. It is part of the solution to simplify complex parts for augmented reality and simplifying 3D scan data for manufacturable models from scan data. CAD integrated reverse engineering is becoming more popular as end users want the data to be integrated directly to their shop approved 3D CAD software.